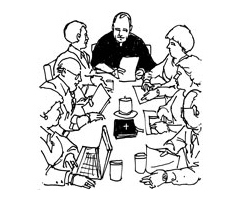 The role of the liturgy planners is to prayerfully consider the readings of the day, keeping in mind any Feast days or special days such as Social Justice Sunday. They then choose the music and prayers of intercession for the day. The input of new members is welcome and 'on-the-job' training is provided.